Summer of 1977. The 'Summer of Sam'. Rolling brownouts. New York Yankees playing up to their fat paychecks and winning a bunch. 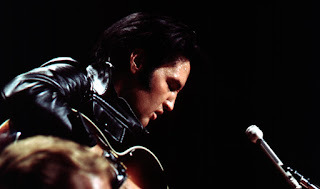 And the death of my all time personal music hero: Elvis Presley. August 16,1977. I recall being 7 years old and a major Yankees,Raiders and rock band KISS fan. That evening,my father came home from work for dinner. He was the one who broke the news of Elvis' death to the family. He went on to explain the importance of Elvis' career in relation to the current state of rock music. He knew of my obsession with KISS and tried his best to convince me that Elvis was far more popular and inspiring than KISS was at that moment. I couldn't fathom that thought at all. KISS was massive at that time and Elvis was an overweight shell of his former self.As it would turn out,my father was correct in his assessment of Elvis Presley's overall impact on society over KISS'. I would gradually learn this over time while my Elvis obsession became larger. That's the list of dope found in Elvis' system after an autopsy was performed in 1977. Thank you Dr Nick. Not. 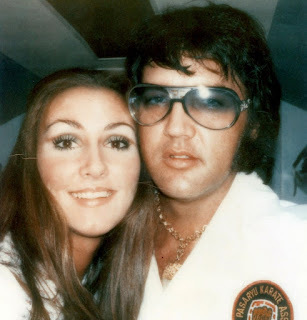 Thank you Linda Thompson for keeping Elvis alive a few more years in the 1970's. That's a wildly toxic mix of pharmies. Whenever I put on an Elvis record or movie,i just feel much better. This has been going on since my single digit years. Most of his movies are mediocre, musical travelogues. You see Elvis (usually a singing cowboy or waiter or whatever) with hot love interest (Ann Margret the best of the bunch) sing his way through the picture until the inevitable happy ending where he gets the girl. This kind of Elvis entertainment never gets old to me. I continue to buy his reissue dvd's and cds,even though all his artistic output is over 40 years old. Key word there: Entertainment. Elvis Presley was the King of Entertainment. I took a trip to Elvis' home Graceland in Memphis,TN back in 2011. It was my first trip there. For a lifelong fan like myself,I was in 70's kitsch heaven. But it was being in the house for about 10 minutes that it hit me that I was walking in a man's house where he had died 34 years prior. Essentially nothing had changed at Graceland since Elvis' death. I got genuinely spooked when the house tour went downstairs to his tv room. I felt a slight chill and froze in my tracks. I know what a ghostly spirit presence feels like. And I felt it at Graceland. As usual,I took a bunch of pictures while at Graceland. I remember walking through the Graceland parking lot across the street and counting the all the different license plates on the cars. I took a pic of 37 different state license plates within 2 rows of cars. Amazing. 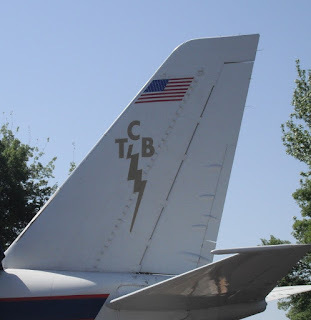 The Lisa Marie jet plane has Elvis' 3 favorite letters on the tail: TCB. 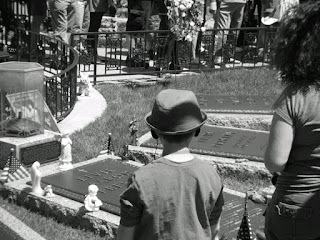 Nice to see a young kid paying his respects with his mom. Here is a song from a little known band from the 80's called Flies On Fire. I saw Flies On Fire as an opening act for Ten Years After in 1989 and they played this tune. I bought their debut cd soon thereafter. Cool band. Awesome song.